This light up to-go tumbler promotes your brand fast – 24HR! Light up your event with these light-up LED tumblers. This travel-ready tumbler features a color-coordinating screw-on lid and straw. Tumblers include three replaceable AG13 Batteries. This clear tumbler includes red, blue and green LED lights and various light modes. 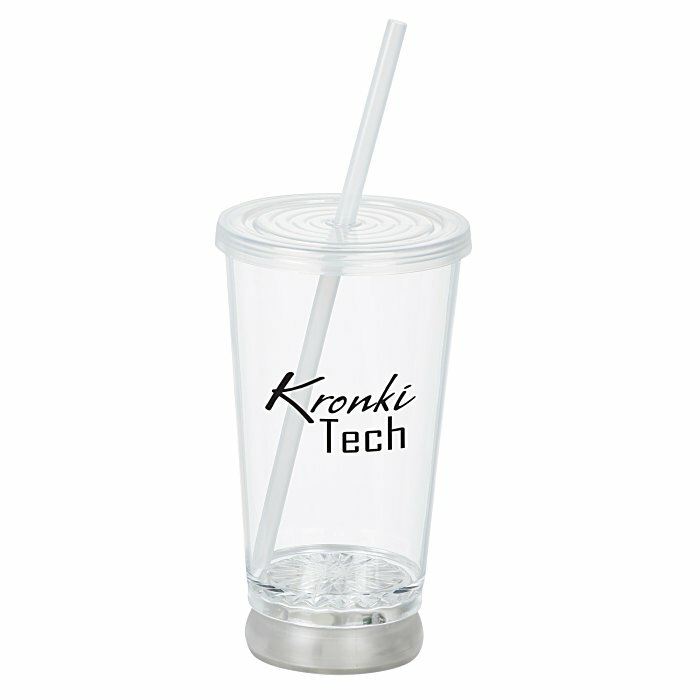 Your price includes a one color imprint on the side of the tumbler.